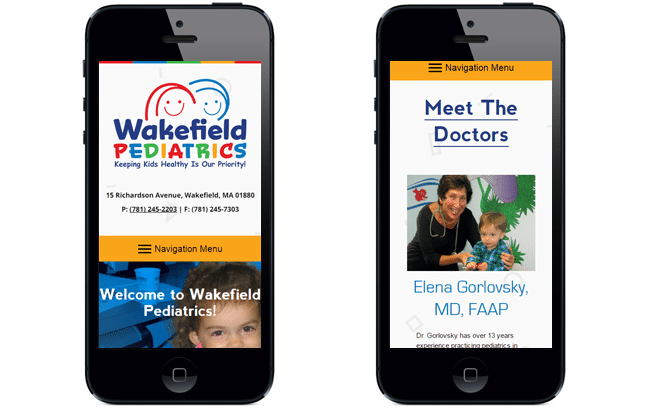 Wakefield Pediatrics is a group of Certified Pediatricians providing health care service to children in the greater Boston metropolitan area. With decades of clinical experience, Elena Gorlovsky, MD, FAAP and Enmei Wang, MD, FAAP provide comprehensive care for your child from birth through adolescence. 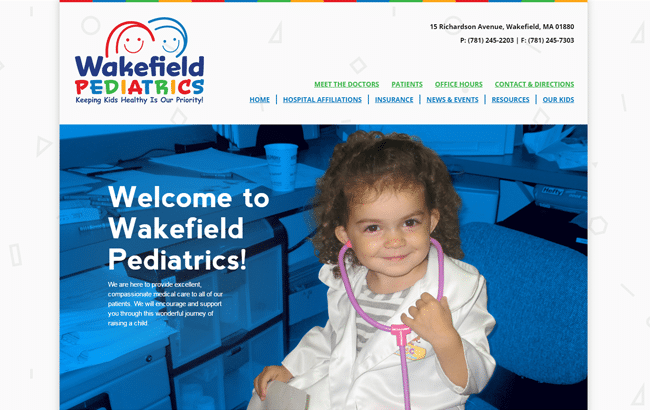 GoingClear Interactive was responsible for the design and development of the new Wakefield Pediatrics website. Our major focuses were on elegant typography, ease of navigation, and thoughtful use of stunning brand photography. We focused on keeping the colors an typography playful and light and wanted to make sure users felt at ease while also being able to find the most important office information with minimal effort. 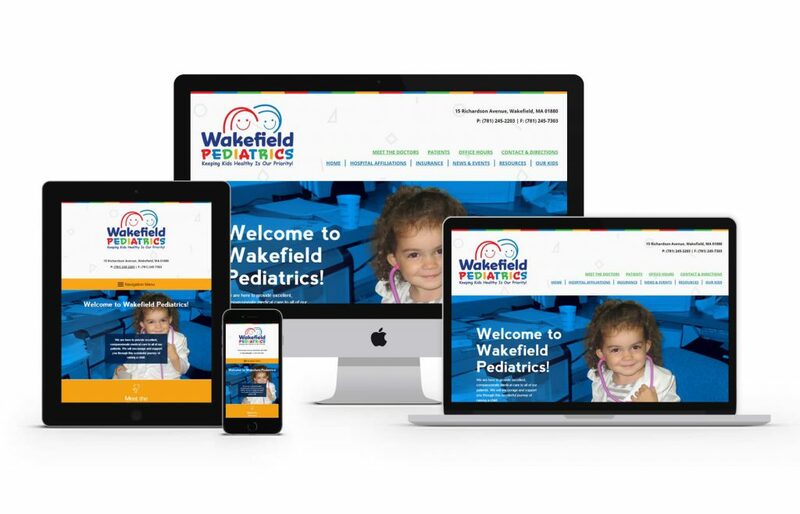 The new Wakefield Pediatrics website was built using WordPress as the CMS (Content Management System) along with a fully mobile and tablet friendly design leveraging Twitter Bootstrap for the responsive framework so visitors are certain to have a flawless experience on any of their devices This is especially important when there is an on-the-go health emergency!